Don't be fooled by his friendly smile, his perfect manners, or his shiny red apple. Student council president Howard Mergler is actually a sinister bug-monster in disguise - and he's summoning swarms of roaches, wasps, fleas, and head lice into the corridors of Lovecraft Middle School! Twelve-year-old Robert Arthur is the only student who can stop him - but he'll need help from his best friends: the school bully, the school ghost, and an extremely courageous two-headed rat. 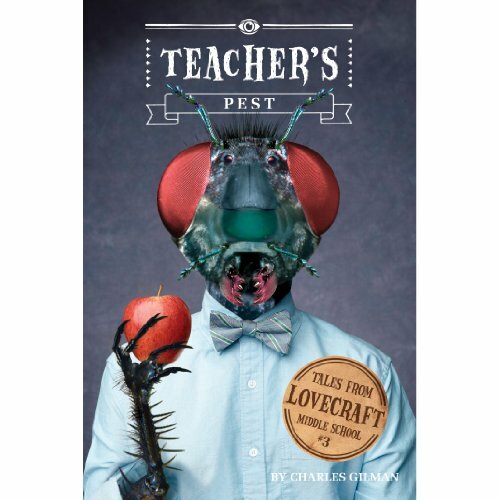 This third novel in the Lovecraft Middle School series begins right where Professor Gargoyle and The Slither Sisters ended - with more action, more adventure, and more outrageous monsters!